This weekend I ventured out of my chair to visit the North Texas Irish Festival. 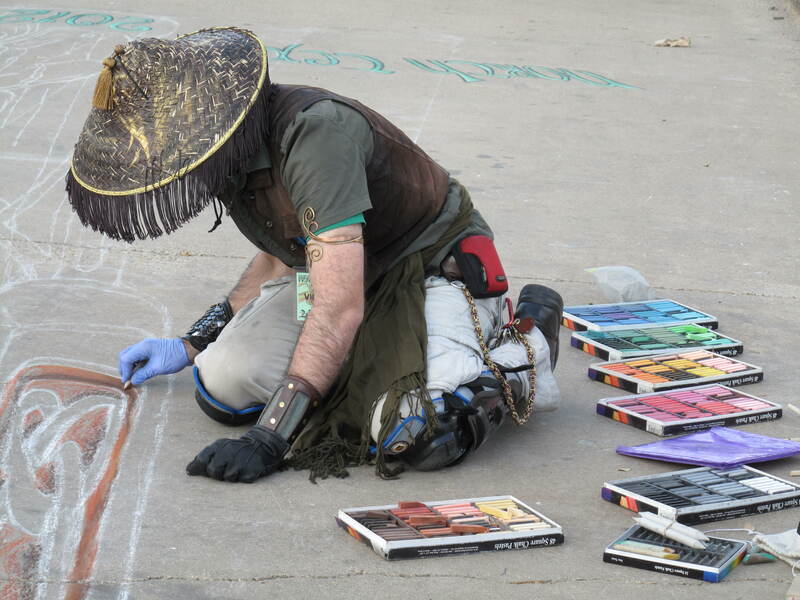 It’s held at Fair Park in Dallas every year in March. I had a great time doing my bit for the economy. I bought a hand-crafted necklace from a local artist, cast paper art for the wall, a pretty hair thingie, and a book from an indie author. I almost bought a corset, but the thought of trying to squeeze into one deterred me. I watched others trying them on, and I couldn’t help but think this medieval torture device should have been allowed to fade away. Yes, it gives you a waist. But since you can’t breathe, you won’t need one. Because you’ll suffocate to death. Which means I’m going to have a heck of a time developing a steampunk costume. Things I love about festivals: the inspiration which comes from watching other creative people being creative; the people watching; the live entertainment; the shopping; the people watching; the puppy dogs; the sunshine; the people watching; the awesome smells of cooked sausage and hot dogs and, in this case, Irish stew; and the people watching. 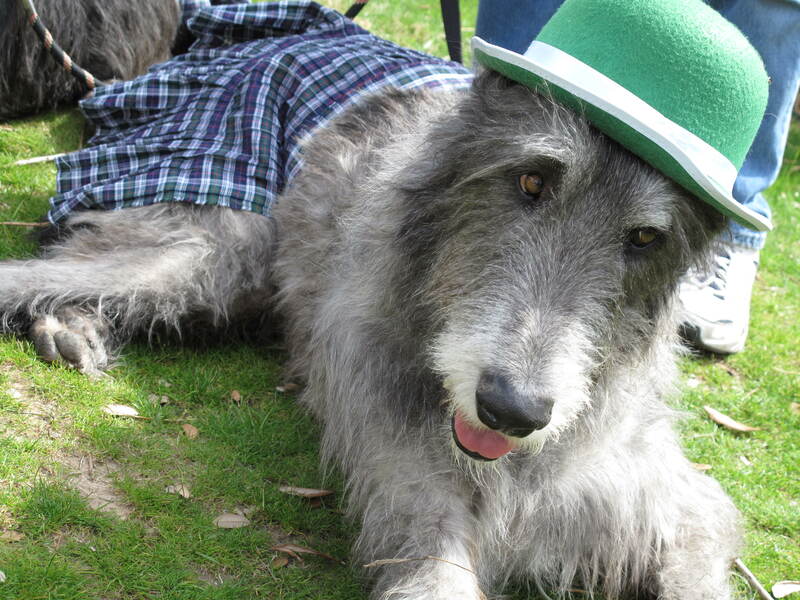 Irish dog at the Irish festival. Funny thing, when you start taking pictures of people they start glaring at you. Unless you take a picture of their dog. I also think I may have found a solution to the energy crisis. 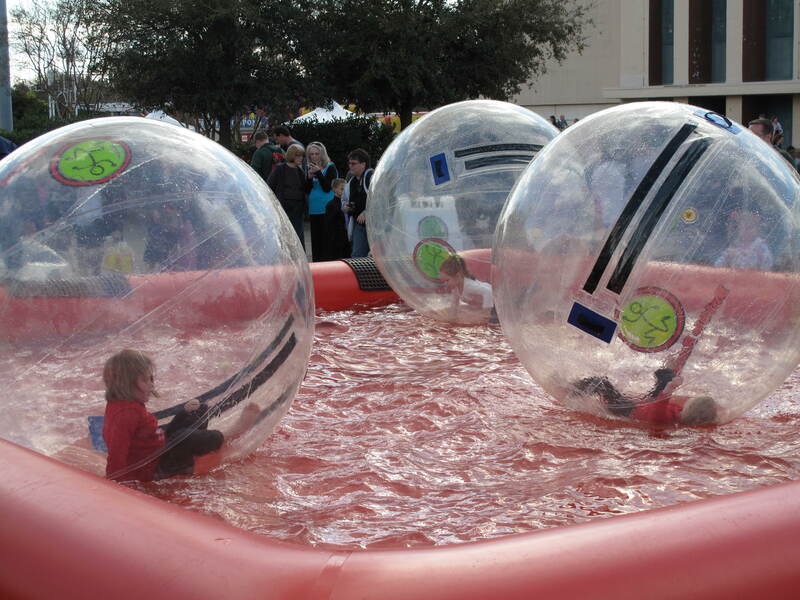 Look at this, kids in giant gerbil balls! Think of the power each one of them could generate. Move over wind turbines, there’s a new kid in town. Literally. Gerbil balls filled with kids. They looked like they were having a good time. All I could think was "look at all that energy, we must harness it!"